This is the second in the Kay Scarpetta series, and I enjoyed it more than her first. The plot moved along swiftly and I really enjoyed the character development surrounding Al Hunt and Frankie. In fact, I wished more time was spent delving into the character of Al Hunt, despite his minor role in the plot. His supernatural talent for seeing colours really intrigued me. 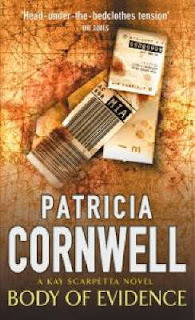 Nevertheless, another enjoyable read by Cornwell, I look forward to the next. I chose this book to read again because her works have been my favorite for a long time. The truth is I am just starting to read online because I love the feel of a good book and they are my friends. What a better way to start than by reading an old friend online. I recommend her books to anyone that follows suspense. Really great to hear, and I'm glad you're enjoying these books again.